The Camden House Auctioneers Classic Film Posters & Memorabilia auction was held on June 25th and 26th, 1994 at the Culver City Veterans Memorial Building in Los Angeles, CA. 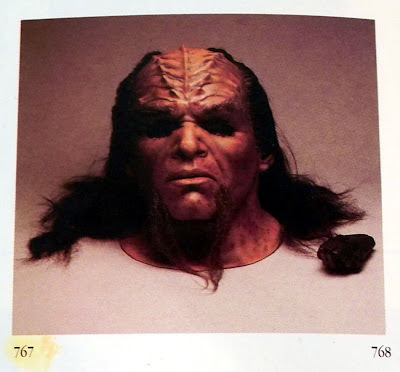 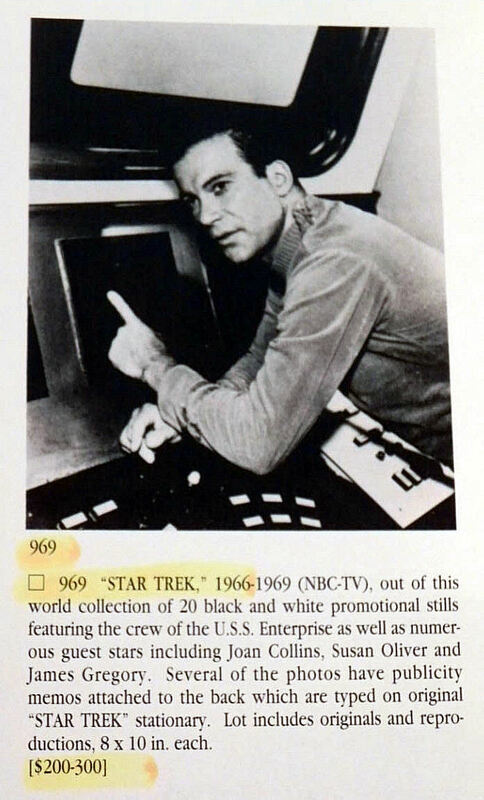 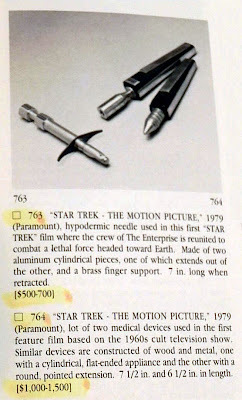 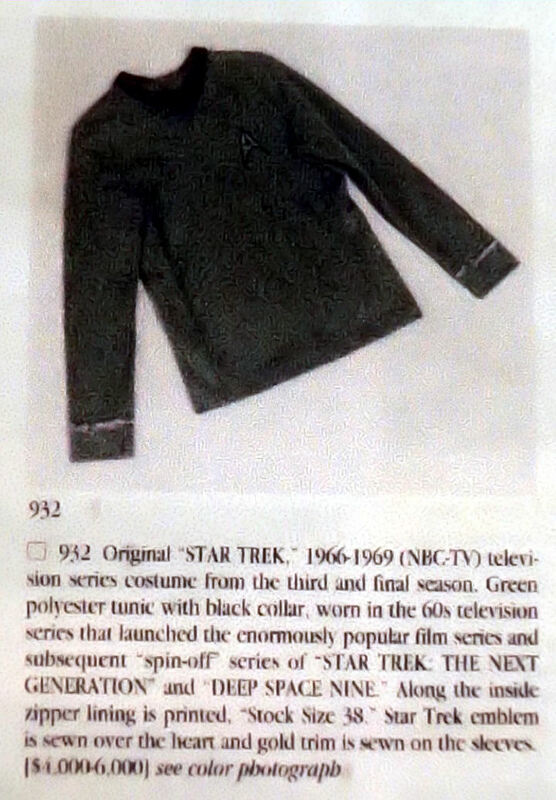 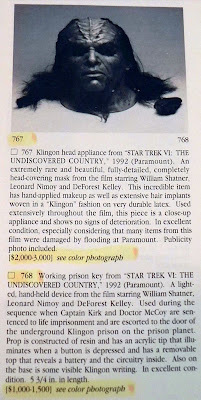 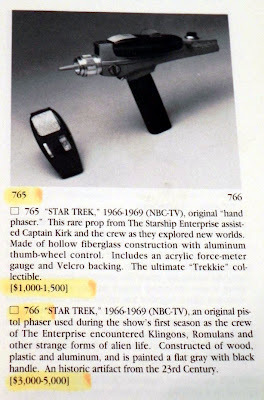 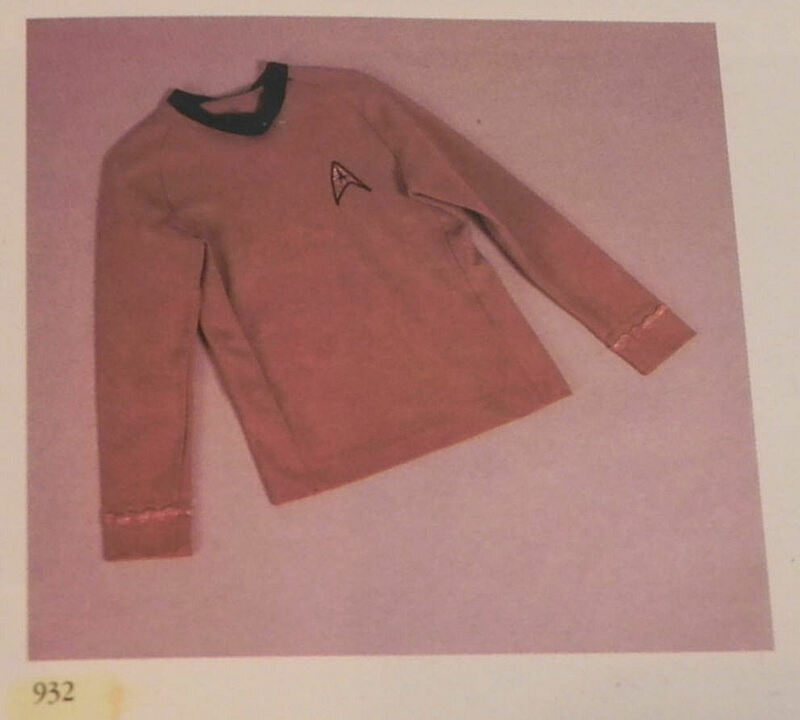 It featured a small but notable offering of Star Trek memorabilia, including a TOS hand phaser, a TOS pistol phaser, a 3rd Season TOS command tunic, and some medical devices from Star Trek: TMP (1979). 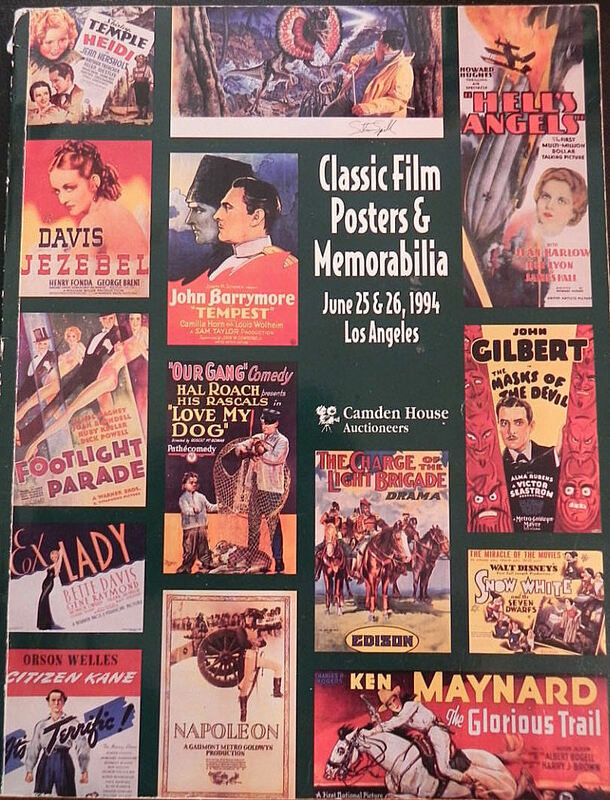 Camden House was a well known entertainment memorabilia source that held regular quarterly auctions during the early to mid-1990's. 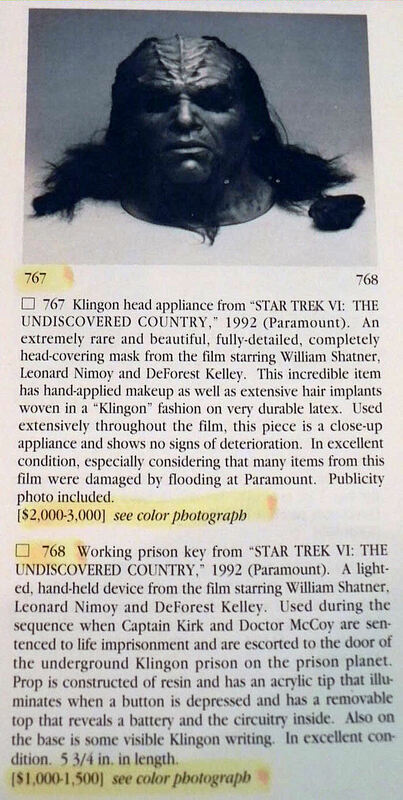 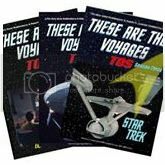 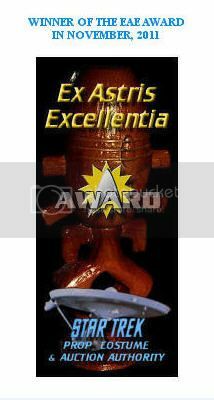 Presented below are the full auction listings for the Star Trek related items in the sale along with their final sales prices. 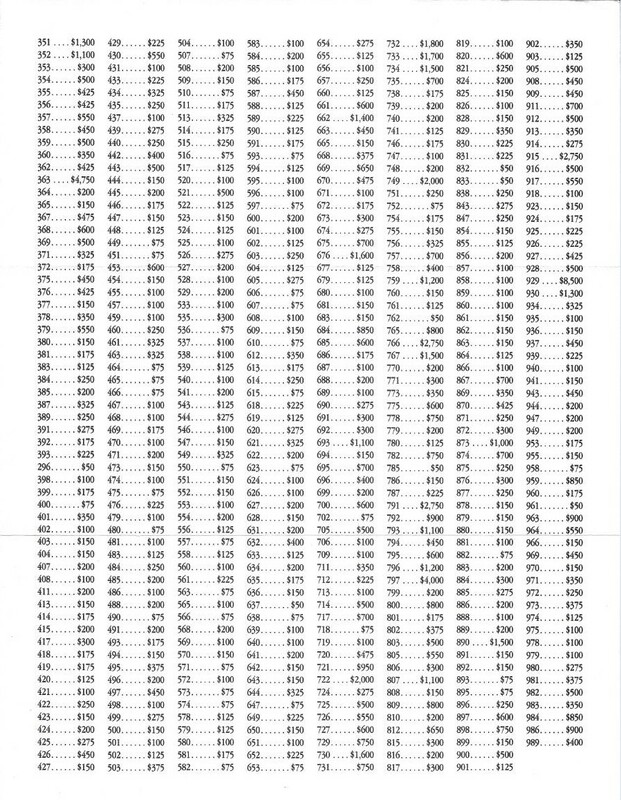 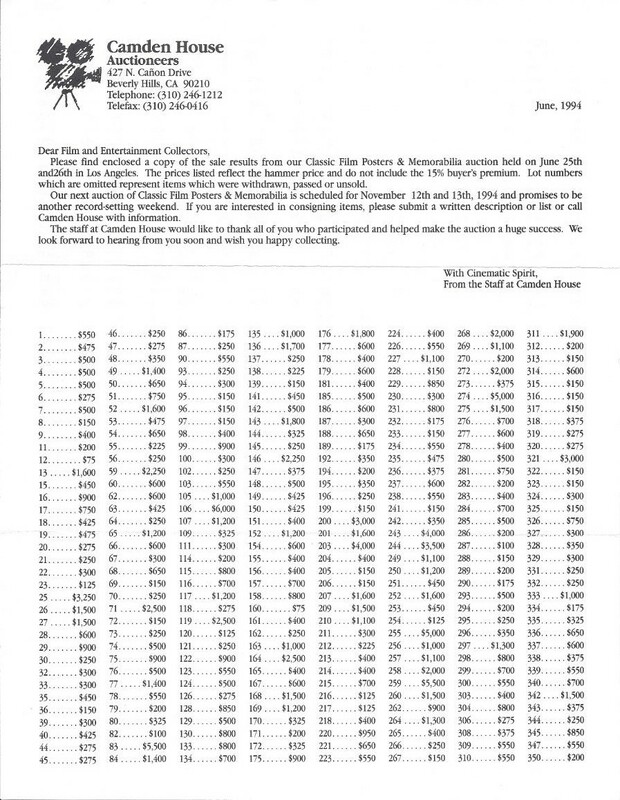 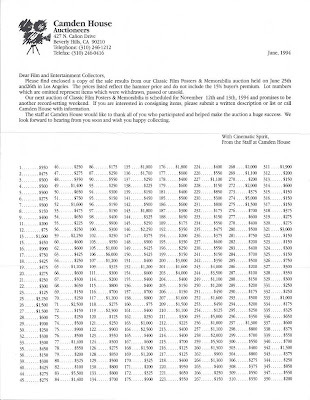 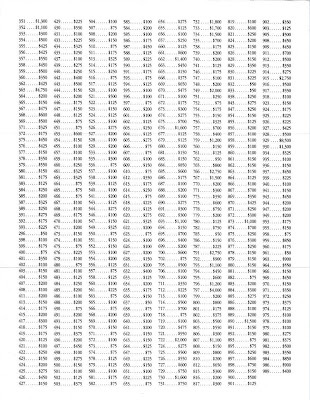 A complete set of final prices realized for all lots in the June, 1994 auction is published at the conclusion of this post.